Stock your wine cellar with wines with more than 1,000 choices from all around the world. 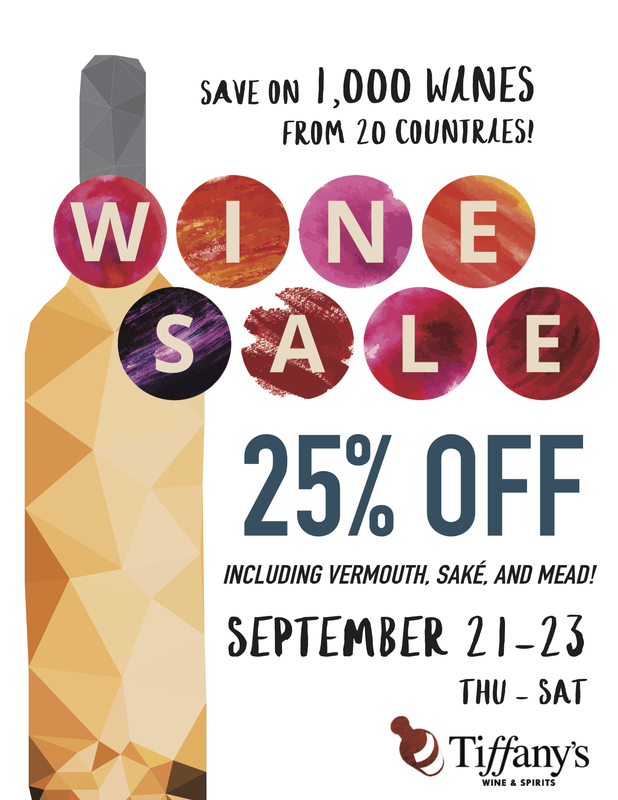 All wine including every day red to cellar-worthy wines will be 25% off starting Thursday 9/21 through Saturday 9/23. No minimum purchase required. Mix & match your favorite wines! *Wine Club, Wine of the Month, Wine of the Year, discounted item is not included in sale.